It wasn’t until I became a mom that all the pieces fell into place. Establishing an affirmative tone goes a long way. It doesn’t matter whether you’re meeting with a lawnmower parent charging in on a mission, a parent who rarely shows up, or someone who, like most of us, falls somewhere in between. Taking a few moments to open the conference with a glimpse into a student’s strengths as you see them at school is never a waste of precious minutes. A sweet story, quick video clip, or photo of the child immersed in learning creates an atmosphere of shared focus. My sons’ preschool teachers brainstorm a list of adjectives about each child, which they share to start each conference. I treasure those lists, and the sentiments behind them. When a conference for one of my children begins with acknowledgement that yes, my child is earnest and funny and smart, and YES, his teacher likes him, it makes the entire conversation feel more productive, whether subsequent topics are successes or struggles. What happens at school is pretty much a mystery to parents. So far, I’ve taught all the grades my children have been in, which gives me an advantage most parents don’t have—and I still have almost no clue what their school days are really like. Yes, I ask my kids often about school, but they are not reliable reporters. They exaggerate or downplay information based on their own value attribution. (Recess trumps reading workshop, every time.) Plus, the time of day they really get talking is usually in the “bedtime apocalypse” timeframe. Anything shared at that delicate hour probably reflects a much higher drama quotient than reality. Giving parents contextual information during conferences, in plain language, is always helpful when explaining children’s behavior or performance. 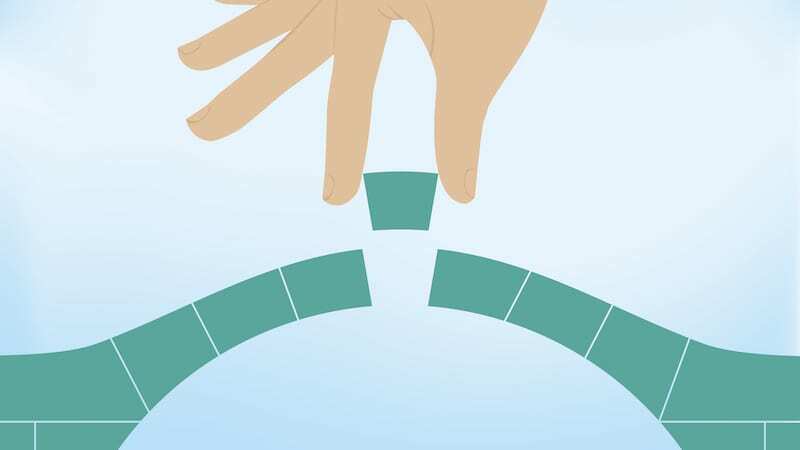 This can be as simple as a quick backstory on a curriculum goal, an explanation of a classroom routine, or showing something concrete, like the actual book you used for a reading assessment. The best conferences are conversations. I got better at this the longer I taught, but as a parent it rings even truer. Parents don’t want (or need) you to read them entire checklists or a student’s entire writing sample. If you’re losing your voice after an afternoon of conferences—I admit, I often was—maybe you’re talking too much. You have a unique perspective on each student as a learner and member of a classroom community, and that’s crucial for parents to hear. They have a broader view of their children than you do, over more time and in different contexts, and that’s important for you to hear about, too. Leave space to ask parents questions like, “Does this fit with what you see at home?” “Does this feel like something new for your child, or the continuation of a pattern?” Then, wait, and let them talk, too. There’s a meme floating around social media about how many browser tabs a mom has open in her mind at any given time. With a big family, I feel this acutely, but I think it’s true no matter how many kids you have. Know that school is only one part of a child’s existence. Parents think about the big picture for their kids (“Will he grow up to be happy?”), and the very small picture too. (“Did he change his underwear this morning?” “Do we have anything in the fridge for dinner tonight?”) The best conferences focus on a handful of priority take aways for parents. Embedding specific goals and action plans into these headlines is even more helpful. Open (don’t close) difficult conversations. Nervous about blindsiding parents, I sometimes gave them a heads up via email before a conference if I knew I wanted to discuss something difficult. In one memorable instance, this backfired in a colossal way, as the father of a student for whom I suggested repeating kindergarten was so angry that he refused to even attend. Tough topics are often best broached after building a rapport. A thoughtful conference is a chance to do this, and parents may even arrive at their own conclusions as the conversation unfolds. Establish a collective focus on supporting the student and then say your piece in person. Know that parents will need to debrief with each other (or a trusted confidante), and look at the child with the information you’ve shared in mind. Give them time, and follow up as needed. Once, as a nervous new teacher, I attempted to joke with a parent about her second-grade daughter’s tendency to act as the ringleader of a clique of girls. Definitely aim for a collegial ease to your conversations with parents, but know that when it’s a mama (or papa) bear listening to information about their precious cubs, any hint of sarcasm or perceived eye roll is amplified. This mother ended up contacting me after the conference, upset that I “didn’t like her daughter.” We met again, and reframed the conversation. By the end of that year, she was one of my biggest champions, and thanked me for being honest about my observations of her daughter at school. We probably could have gotten there with less angst, though, had I taken more care with my initial delivery. As I pencil in my name on the calendars posted in my kids’ classrooms this year: Busy teachers marching through an endless conference schedule, I see you. Parents for whom just one name on the list fills your world, I see you, too. Let’s pull our student-sized chairs a little closer this conference season to make the most of our twenty minutes together. 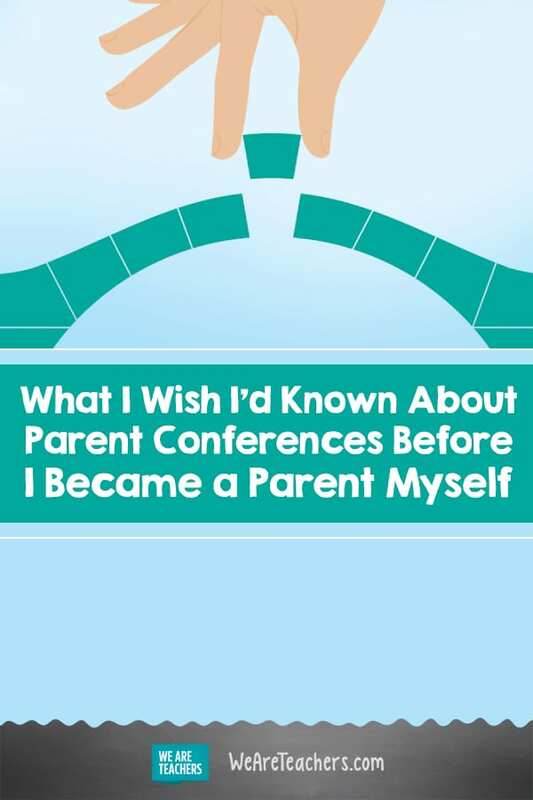 What are your tips for navigating parent conferences? What’s still challenging for you? Let us know over at our WeAreTeachers HELPLINE group on Facebook. Plus, how to survive even the scariest parent conferences.